What country do you get in mind when you think of one of the most luxurious destinations in the world ? Which country reminds you of beautiful sunsets, sea shores and also happens to be one of the most picturesque tourist locales on the entire planet ? Yes, most of us refer to it as Mauritius - an island nation that is located in the Indian Ocean. It is also called as the Republic of Mauritius officially. The main island of Mauritius is perched beautifully and tucked away almost around 2,000 kilometres off the southeast coast of the humungous & populous continent of Africa. Today luxury real estate in Mauritius happens to be one of the most sought after and coveted globally. In terms of size Mauritius does not have too much to boast. In fact although it is a "David" in front of many of the "Goliath" countries in terms of land area, it packs a huge punch when it comes to performance. The Republic of Mauritius happens to be the 170th largest nation in the world in terms of dimensions. The land area also comprises the mesmerising islands of Rodrigues, Agalega and the beautiful St. Brandon. Port Louis which is located in the heart of Mauritius Island also happens to be its capital and biggest city in terms of size. Each and every luxury lover prefers to have a home in this alluring island country. Mauritius as a nation is as diverse as any country on the planet could be. The inhabitants of Mauritius come from multiple ethnicities, myriad cultures and a variety of languages. The structure of the government is designed on the lines of the Westminster parliamentary system. It is therefore no surprise that when it comes to democratic values, economic & political systems, Mauritius is placed as one of the topmost countries in the whole world. With the major emphasis that this country attributes to human values and life values, it is no surprise that in the entire African region, Mauritius holds one of the highest positions in the Human Development Index. Apart from being extremely sensitive towards human values, this country is also very vibrant in terms of its economic endeavours. Thus, Mauritius also enjoys the honour of being one of the most mature economies in the entire continent of Africa and also a highly competitive one. The hard work, discipline of the entire country reflects in the fact that although Mauritius has limited natural resources that can be harnessed economically yet it has a robust economy overall. The country has adapted and has fine-tuned the sectors of manufacturing& producing, banking & commercial services, tourism industry, IT services and communications technology. It is a charmed life in Mauritius and hence it is one of the most popular tourist as well as migration destinations in the world today. The basic fabric of Mauritius is people friendly and pro-citizens. It falls under the category of welfare state wherein the administration ensures quality yet free health care, quality and no-cost education up to postsecondary level. Apart from these the government also provides very good and free public transport for students, elderly and the physically challenged citizens. On the nature front, Mauritius is blessed with abundant bounty in terms of flora and fauna. There are various exciting and rare species of birds, life forms that make the entire existence in Mauritius much more vibrant and richer in every sense of the word. Mauritius is a prime tourist destination that ranks 3rd in the region and 56th in the world rankings. It is thus a superb location for tourism and enjoying a wonderful holiday. It has a tropical climate with clear warm sea waters, beaches, tropical fauna and flora accompanied by a multi-ethnic and cultural population. Mauritius has achieved success by receiving the award of World's leading Island Destination for the third time and World's Best Beach at the World Travel Awards in January 2012. As Mauritius is a beautiful nation with various natural resources, it's growing rapidly in luxury real estate. John Taylor is a main place in luxury real estate services with over 150 years' history. It's located in Ebene, John Taylor Mauritius is at your service to guide you through the schemes which allow non-residents to acquire luxury coastal properties. Presently Barnes is at the forefront of global luxury real estate with a portfolio of the most wonderful properties in one of the most pristine locations. Set between the turquoise lagoon and magnificient green mountains on the eastern coast of the island, Anahita Mauritius is an exclusive world class resort. It is highly sophisticated and delicate elegance with unfeigned personalised service. In order to meet the needs and lifestyle of each discerning Mauritius luxury home owner, the teams of Anahita Mauritius have designed modular villas that adapt themselves to your investment and your goals, allowing you to personalise your home while maintaining the same architectural style. Since Independence, the Mauritian economy has undergone a radical transformation. The country has slowly moved from sugarcane monoculture to other sectors like real estate, tourism and the export processing zone. The country's effort to implement economic diversification and democratisation policy has given rise to inclusive growth, human capital development and upward social mobility. The Mauritius administration has undertaken various pro-active steps to attract investments to this island nation and one of them is The Integrated Resort Scheme (IRS). It was formally brought into existence in the year 2002 and it provides rights to foreign nationals to purchase freehold property in Mauritius. The IRS is not just a property scheme; its integrated resort development concept has changed the market. The IRS programme has got lots of advantages to offer, including eligibility for a residence permit and a favourable tax environment. Mauritius has got tax treaties with 44 other countries and the country has a flat 15% income tax rate for both individuals and corporations. The capital gains, inheritance, dividends and capital are free from tax. Being an island nation, Mauritius is by default blessed with the grand surrounding and landscape of the beautiful ocean that encompasses its very soul. Luxury beachfront villas for sale in Mauritius are the dream purchases of every luxury investor and luxury property connoisseur from across the world. 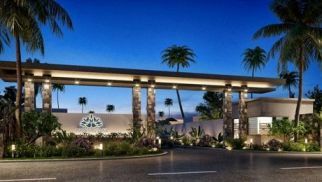 Heritage Villas Valriche and La Balise Marina have become abstract points of reference among the 13 approved IRS developments. These are the most beautiful Luxury villas for sale in Mauritius and have been designed with international standards & finesse. Heritage Villas Valriche is a unique residential estate tucked between a golf course and the sea in the heart of the pristine nature of the 2,500 hectare Heritage Bel Ombre estate in the South-west of Mauritius. These luxury homes for sale in Mauritius are some of the most exclusive and extraordinary high end properties that this country has to offer. La Balise Marina is located in Black River, on the west coast and is the only residential marina on the island. The Real Estate Scheme (RES) was launched in 2007 to get smaller scale developments with a maximum area of 10 hectares. The Invest Hotel Scheme (IHS), which allows foreigners to own a hotel room or villa, was also implemented in 2010.